In a remarkable turn of events, Virginia legislators reportedly have had to step in to protect animals from PETA, which runs a gulag-style animal shelter at its headquarters on the banks of the St. Elizabeth River that euthanized over 80 percent of the animals in its care in 2014. Virginia lawmakers found that rate so abnormally high that they passed a bill in February to redefine a private animal shelter as “operating for the purpose of finding permanent adoptive homes.” The law will squeeze PETA whose primary service to animals in Norfolk has not been adoption, but rather a quick exit from the world. The bill, put forward by Sen. William M. Stanley Jr. (R-Franklin), passed the House of Delegates in a landslide 95-2 vote, after the Senate had approved the measure by 33-5. This despite the fact that PETA hired lobbyist Stephen Haner to try to kill the bill. According to the Virginia Department of Agriculture, People for the Ethical Treatment of Animals (PETA) took in 3,017 animals in 2014. Of these, a mere 162 were adopted, while 2455 were “euthanized.” This rate of 81% was not exceptional, since in prior years the rate has risen above 90%. A website documenting PETA’s killing record claims that the organization has euthanized more than 33,000 animals since 1998. 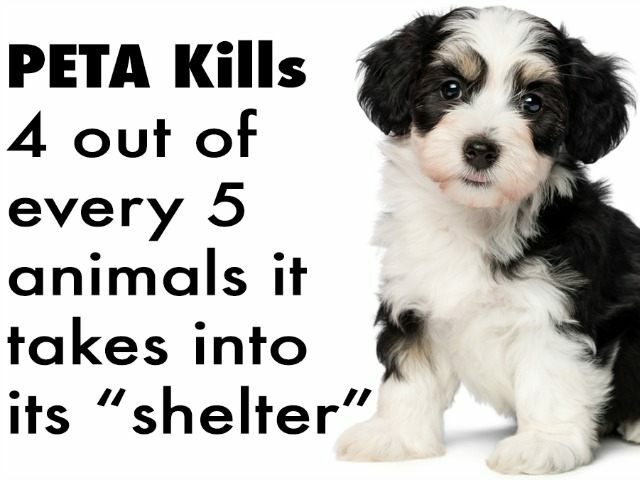 PETA’s shelter, in fact, stands alone in its draconian policy, with a kill rate more than three times that of other shelters in the state. Combined, Virginia animal shelters took in 210,599 animals last year, of which only 49,302—less than 25%—were euthanized. Even some of PETA’s would-be supporters find the figures troubling. Professor Paul Waldau of Canisius College, an animal rights scholar, justifies PETA’s higher-than-average kill rate because they take in animals that no one else wants. PETA is often its own worst enemy and has repeatedly shot itself in the foot, claiming in its own literature that the best thing for many animals is “a peaceful release,” while simultaneously complaining of “an overpopulation crisis” among animals. Such pronouncements have led many to wonder whether the organization really cares about animal welfare at all or just uses the platform for other agendas. PETA’s Norfolk euthanasia clinic comprises a small room on the ground floor of its shelter, with a padded surgical table where the animals receive their lethal injections. The bill now sits on the desk of Virginia Gov. Terry McAuliffe, who has until March 29 to sign or veto it — or send it back to be amended.